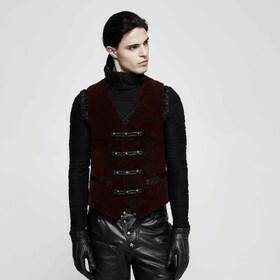 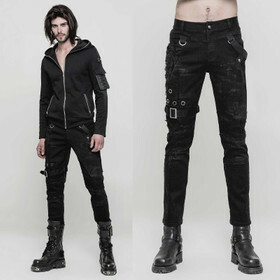 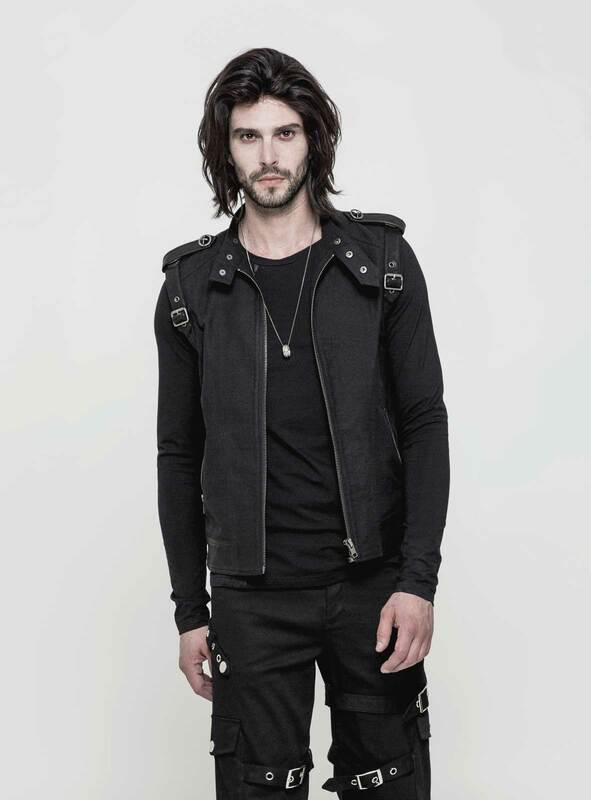 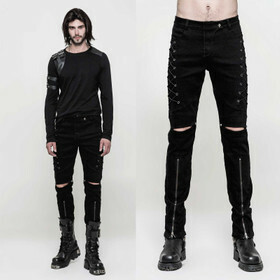 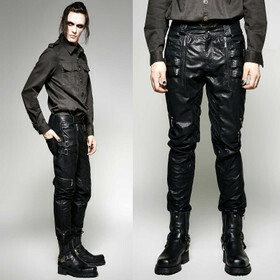 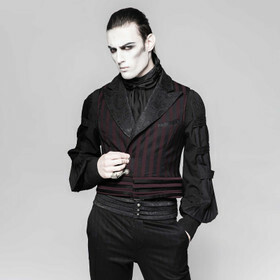 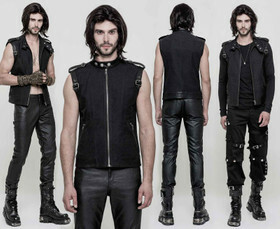 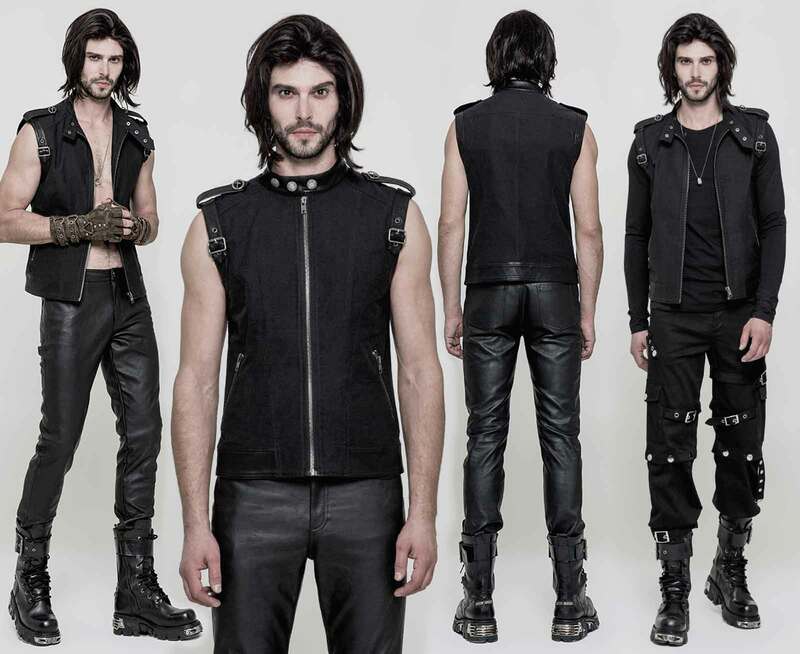 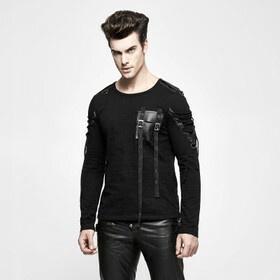 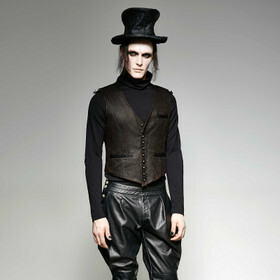 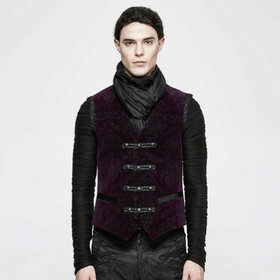 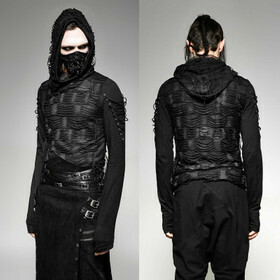 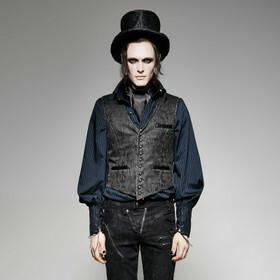 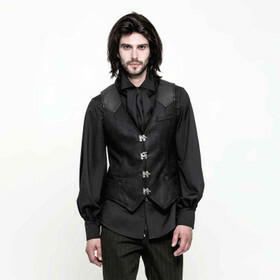 Men's urban gothic style vest by Punk Rave. 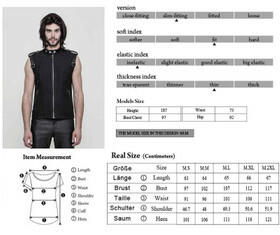 Plain sleeveless waistcoat top. 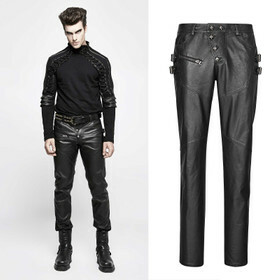 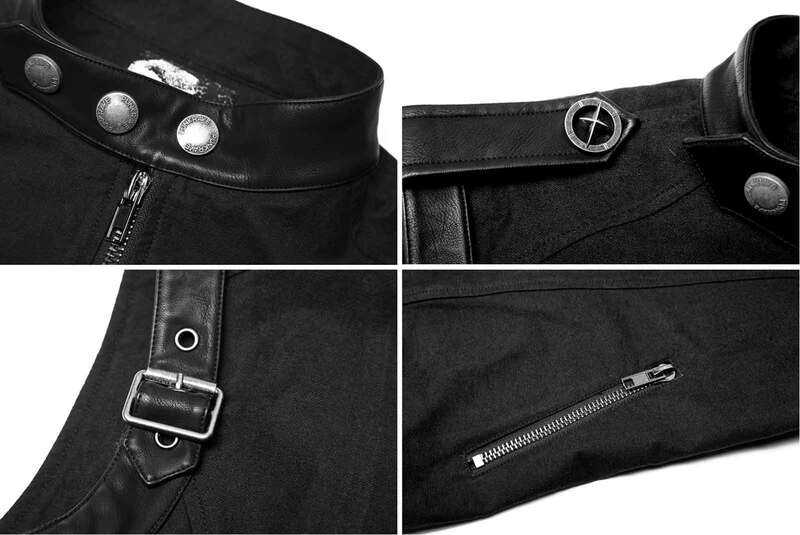 Black cotton twill with front zip and faux leather contrasts. 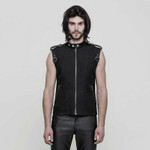 Men's urban gothic style vest by Punk Rave. 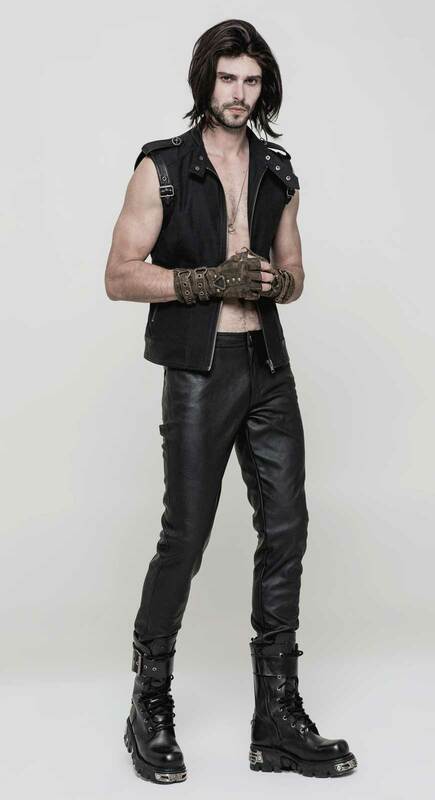 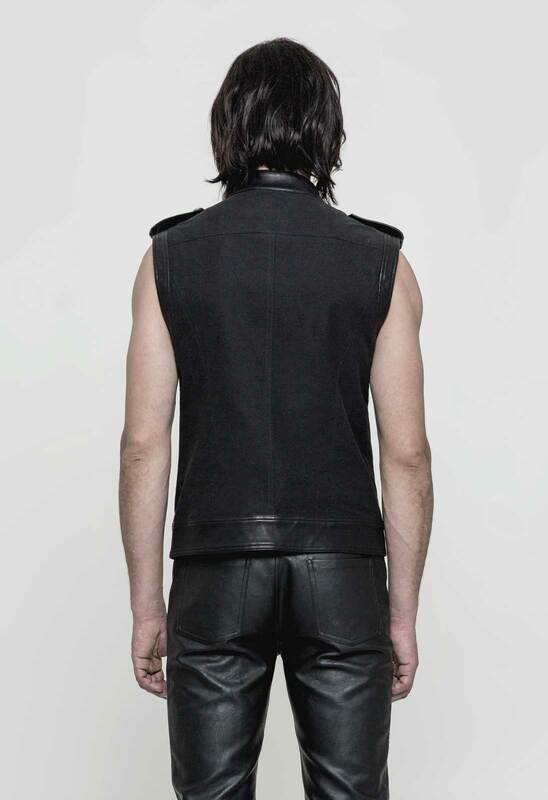 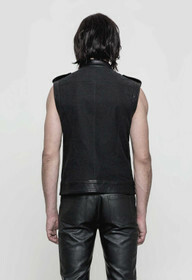 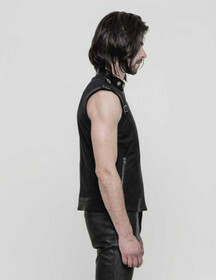 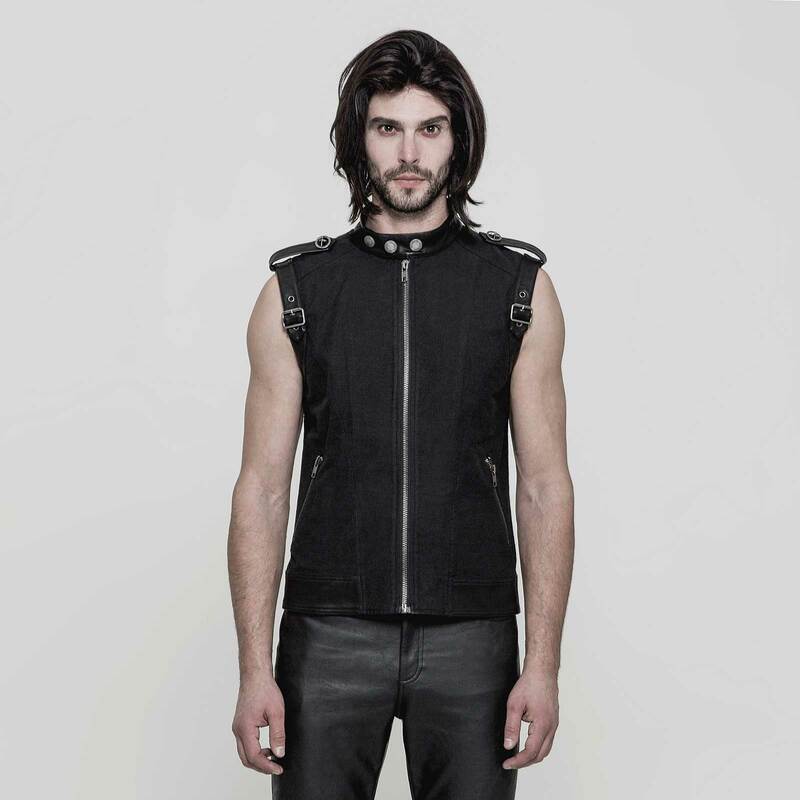 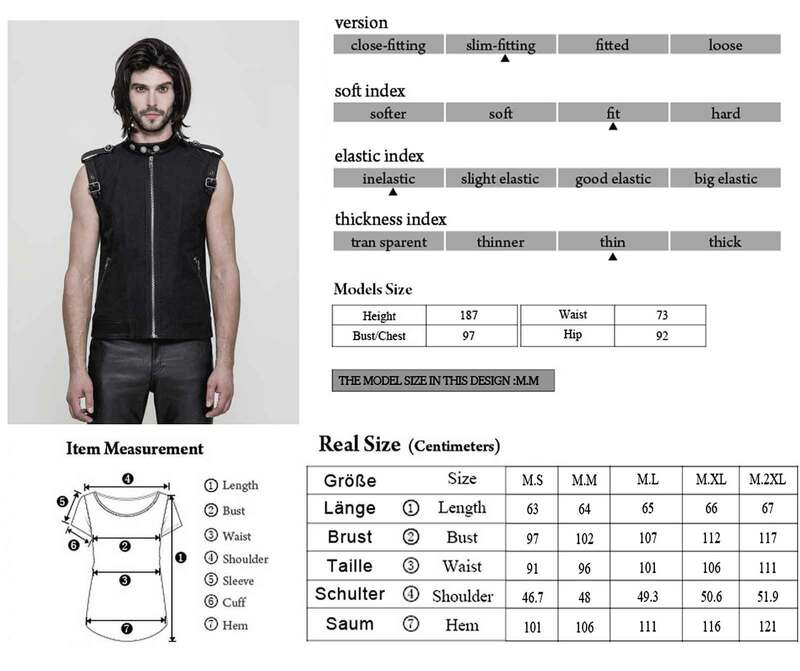 Plain sleeveless waistcoat top, made of black cotton twill with front zip and faux leather contrasts at armpits, waistband and stand-up collar. 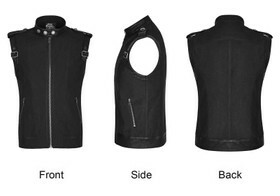 3 additional snaps at the collar. 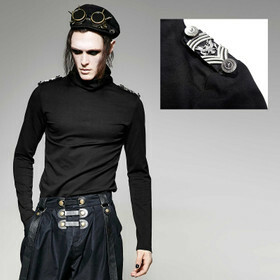 Epaulettes and front zip pockets.